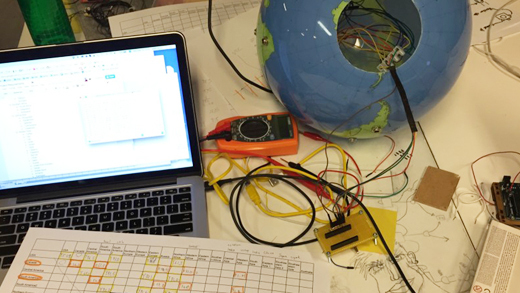 The News Globus has an Arduino MKR-1000 inside the globe wired to 20 assigned regions. When two regions are connected, the Arduino selects a country randomly from each region and queries the NY Times API for news containing both locations. A web server then selects a story and converts the headline and byline to a mp3 file which is played either from the headphone jack or the base of the globe. 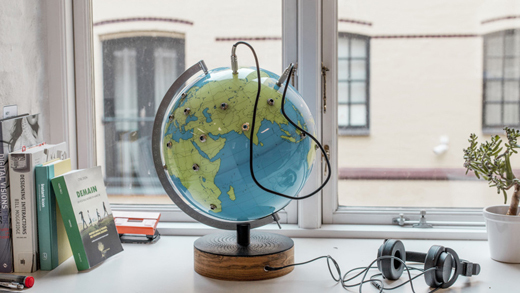 We used a globe, an Arduino MKR-1000, a Raspberry Pi2, wires. We also used a laser cutter, and 3D printer, etc. 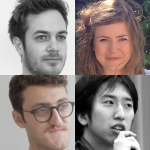 News Globus from CIID IDP on Vimeo. This globe is fun. 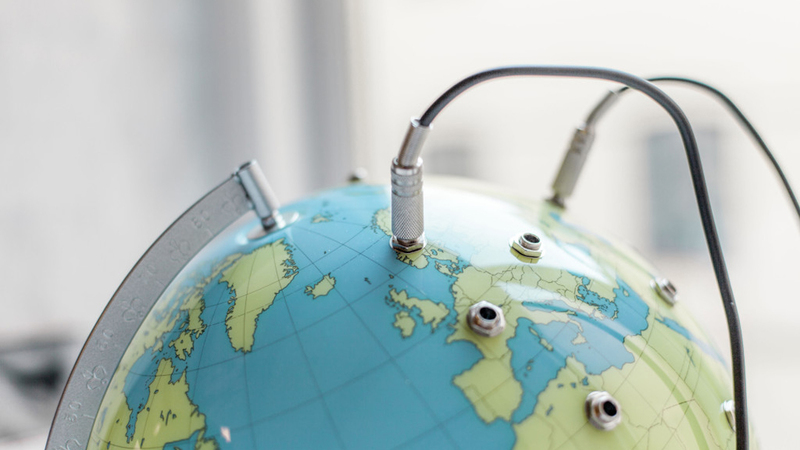 It shows how small our earth is, we could eavesdrop countries around the world from a single ball by merely plugging and unplugging connections. Besides, it looks strangely beautiful at the same time.